Is your pet ready for an emergency? Here are some tips to make sure your pet is prepared for anything! If a natural disaster struck right now, would you be ready? Chances are you'd have enough supplies throughout your house to get yourself by in an emergency. But, as a pet owner, the bigger questions is: Would your pets be ready? It's our responsibility to provide them with safety and protection. 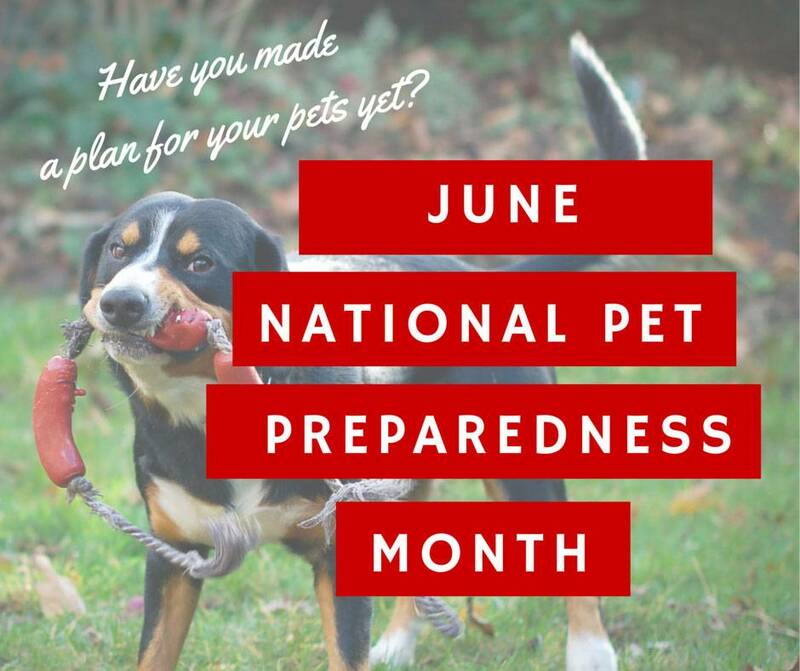 Use this list as a guide to make sure your pets are prepared for anything! Enough food stocked to last several days. Canned or dehydrated food is best because it's portable and shelf stable. Enough water for several days. At least one extra leash, collar, and harness for your pet. A waterproof raincoat for your pet. Boots or protective covering for their paws. An extra set of ID tags. It's also a good idea to get your pet micro chipped. Updated emergency contact information with family, friends, and your vet. Current photos of you with your pet. A crate and absorbent potty pads for each pet. Toys and chew treats to keep your furry friend happy and entertained! Nobody likes thinking about disasters, but it's better to be safe than sorry!